Happy National Coffee Day! Coffee with your doughnut? How about bacon with your coffee? 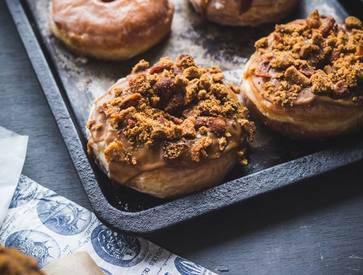 Nah, how about coffee & bacon on your doughnut! (To be honest, I still drank coffee with this savory delicacy!). Coffee + Bacon + Doughnuts = Happy Food! !